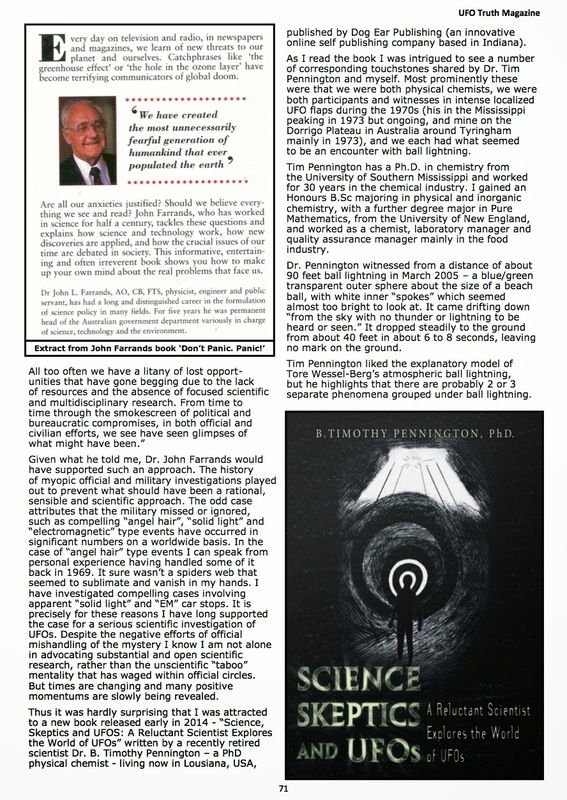 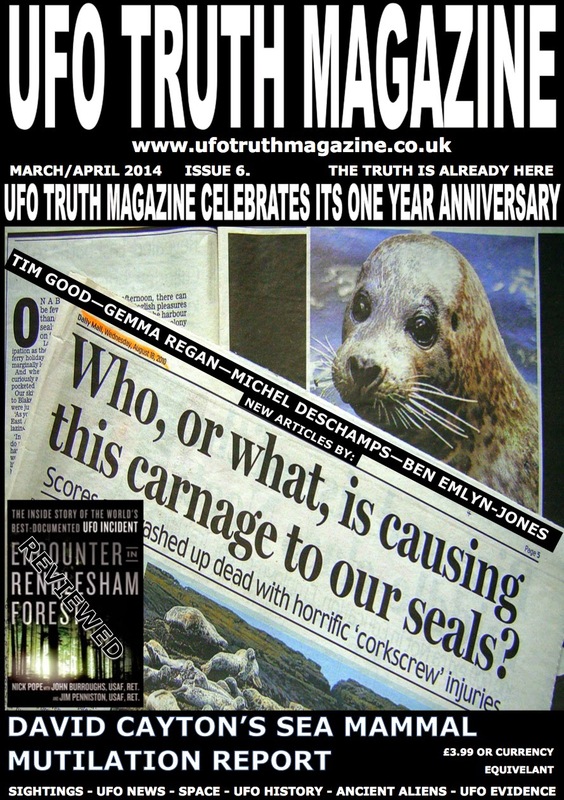 I have columns in both these magazines - A review of Dr. B. Timothy Pennington's book "Science, Skeptics and UFOs" and commentary on the "Close Encounters" TV series I have been involved with; Comments on "Science, Skeptics and UFOs" and some ball lightning encounters in my "OZ Files" column in UFO Truth magazine. 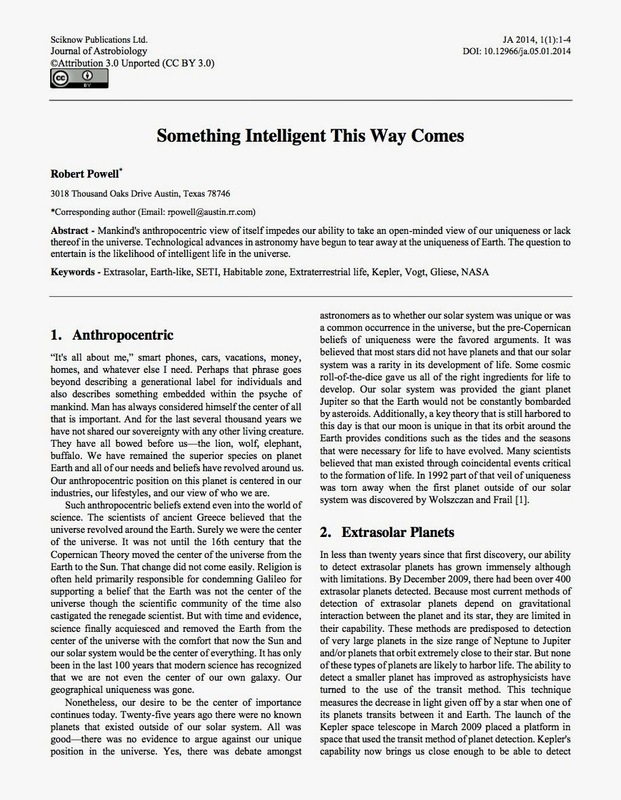 "... as a society we have difficulty dealing with the possibility that intelligent life may reach us first and may have already done so." 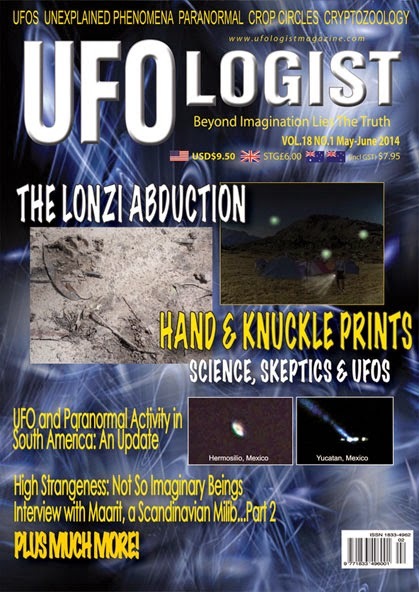 The author - Robert Powell, a friend, a co-author with me & others on the book "UFOs and Government" and research director of MUFON. 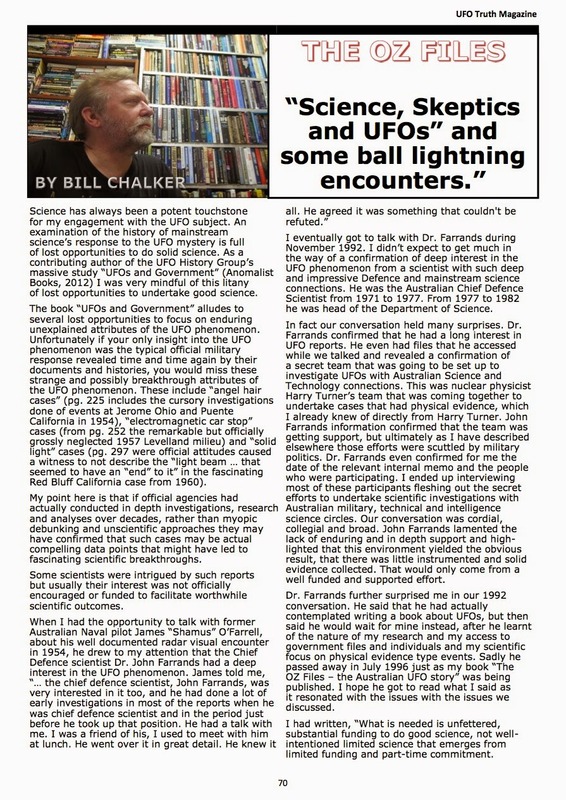 The word UFO doesn't appear in this peer reviewed article, but this is a nice stealthy alternative, seemingly acceptable to current mainstream scientific sensibilities.